Replacement value on this current model is more than $900k, so good buying. 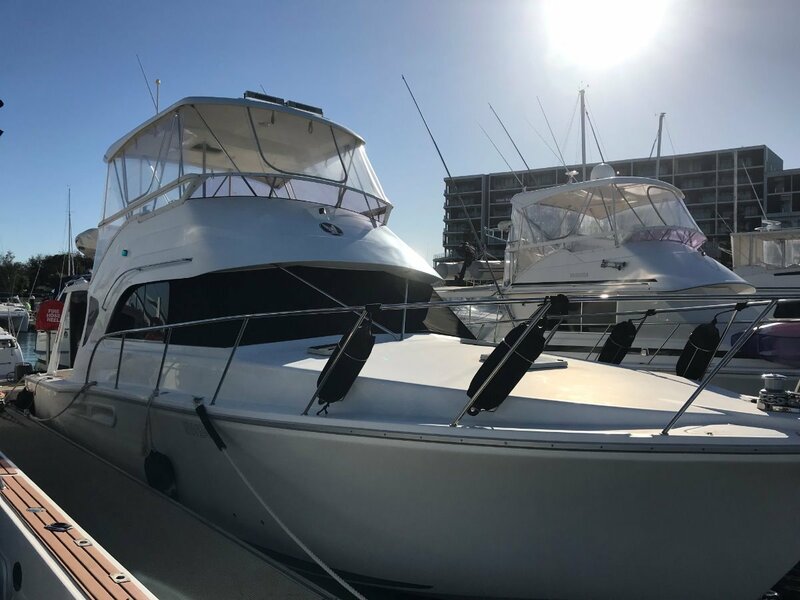 Contact Travis Mansfield at Mansfield Marine Brokers on 0419911560 to view this vessel. Mansfield Marine are the largest pleasure boat Marine Brokerage in Western Australia. We pride ourselves on offering down to earth, qualified advice & service, backed by the vast real experience of our personnel, gained over many years in the boating field & industry, including boat design, building, repair, refit & brokerage. Straight shafts with 4 blade Austral propellers. Huge functional galley with Induction cook top, convection oven/microwave, big refrigeration and heaps of storage in below bench and overhead cupboards. Utec style ( freezetec) cockpit unit ( about 140 ltrs), same to galley, plus a separate Freezer in the galley bench top. 2 in fwd master, 2 in double bunk cabin, up to 5 on convertble lounges. 12 volt reversing anchor winch with 40 mtr sof chain. 2 x 12 inch Raymarine screens, Radar, Auto pilot and sounder, with camera to bow and cockpit. As the WA dealer for these awesome craft, it never gets boring demonstrating the evident attributes that a C40 has to offer, which has given countless WA boaties what they need to get the most out of boating here in the West!